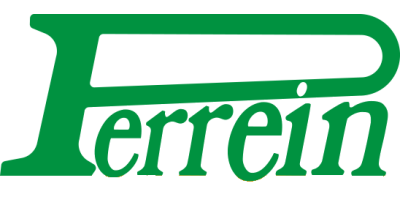 Perrein, farm equipment manufacturer. The company was founded in 1979, by Didier Perrein. At that time, it produced mostly tillage implements adapted to the chalky soil of the Champagne region. The production was diversified in the following years, with products such as graders, Jumbo fertilizers tankers, trailers. The production of the Charrue Express started in 1991 and the production of Nivelsem in 1992. These innovative products helped consolidate Perrein`s reputation, well beyond its initial activity range. Next in line are the drills tines Novaflex, Perflex chisels and the phytosanitary products storage equipment Fitobox. Perrein is situated in Dampierre au temple, about 170 km east of Paris, 30km south of Reims, on highway A4. In 2006, Perrein became a part of the Laforge group, manufacturer of front hitches, front PTOs and automatic controls for front hitches. Perrein products thus complete Laforge's range of tools: subsoiler, dozer blades and ballasting systems. Moreover, Laforge's worldwide experience is used to accelerate Perrein's development abroad. Today, the factory consists of 3000m2 of roofed production equipment. All Perrein products are built on this site, preserving the initial spirit of research for innovations and solutions.